Replacement facility needed because P.S. 51’s current building will be converted into housing as part of previously approved mixed-use project. 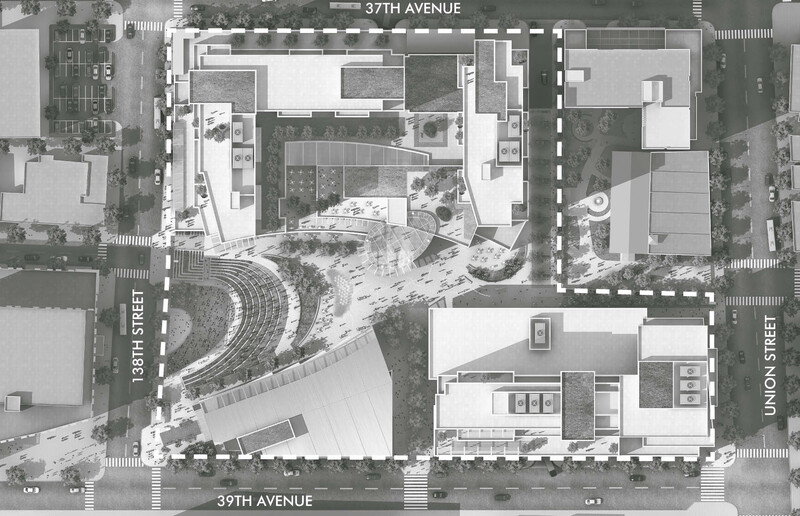 On June 29, 2010, the City Council approved the New York City School Construction Authority’s proposal to build a 630-seat replacement public school facility for P.S. 51 on the north side of West 44th Street between Tenth and Eleventh Avenues in Manhattan. The School Construction Authority will build the new facility on a lot occupied by a vacant warehouse and the 16,000 sq.ft. playground of P.S. 51’s current 276-seat building, which is located on the south side of West 44th Street. The new facility will include a 3,000 sq.ft. rooftop play area in addition to a 12,000 sq.ft. street-level playground behind the school. P.S. 51 needed a new building because its current facility on West 45th Street will be converted into housing as part of Gotham Organization Inc.’s affordable housing project, which was approved in March 2010. 7 Cityland 21 (March 15, 2010). The project will span the majority of the block and create 1,250 residential units, 600 of which will be permanently affordable. School Construction Authority to provide additional recreational space on the new school’s roof. At the Council’s Landmarks, Public Siting & Maritime Uses Subcommittee hearing, a School Construction Authority representative noted the agency’s commitment to working with Gotham and the community to minimize construction impacts and ensure student safety. Katherine Consuelo-Johnson, president of P.S. 51’s Parent Teacher Association, thanked Speaker Christine Quinn and the School Construction Authority for agreeing to add the rooftop playground, but she said there were still concerns about the new school’s construction. The Subcommittee unanimously approved the site selection, and the Land Use Committee and full Council followed suit. Council: P.S. 51 (June 29, 2010).